I recently went over a bit of my “favorite tech stuff,” and in that post, I featured the Aukey Dash Cam. I’m still using it, and since writing it up, I actually had an experience where it came in handy (awful Oregon drivers!). Because of this, and due to the fact that it is on sale through Amazon with the help of a coupon code ($54, down from $90), I’m here to highlight it once more. The Dash Cam itself is pretty barebones, but that’s what I like about it. The camera is capable of shooting up to 1080p footage (night recording is solid), recording interior audio, with all storage managed by a removable microSD card. Once you have footage you want to share, all you do is pop the SD card into your desktop or smartphone, then upload it to wherever you’d like. 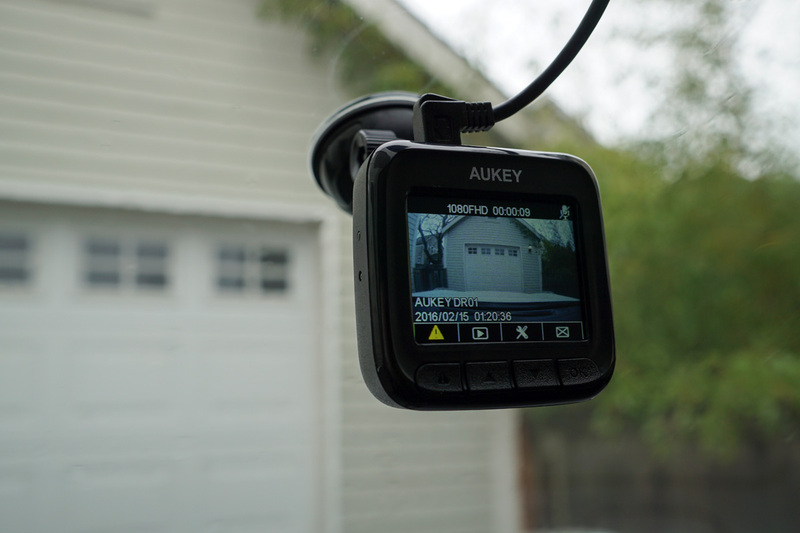 As I have stated, dash cams in general — not just the Aukey — are a clutch accessory for your car. You never know when you’ll need it, but when something happens and you do have it, it’s reassuring. Yes, there are plenty more fancy and high-res dash cams out there, but for $55, the Aukey seems like a steal. To get the $54 price, enter the coupon code – AUKCAR54. Check out my fun encounter below that I captured on the Aukey. Person just blows through their stop sign, apparently forgetting you’re supposed to look both ways before accelerating into a two-way.